Mathematical literacy is a primary goal of the school curriculum. Competence in mathematics underpins the successful study of many academic disciplines at Brentwood. Becoming numerate involves developing the ability to explore, conjecture, reason logically, and use a variety of mathematical methods to solve problems. It also involves the development of self-confidence and the ability to use quantitative and spatial information in problem solving and decision making. The Brentwood mathematics curriculum emphasizes the development of numeracy skills and concepts as well as their practical application in higher education and the workplace. The curriculum emphasizes probability and statistics, reasoning and communication, measurement, and problem solving. Technology is used to collect and analyze data and bring a context to our explorations. Complementing these real world applications, we also investigate the creative and aesthetic aspects of mathematics by exploring the connections between mathematics, art, and design. 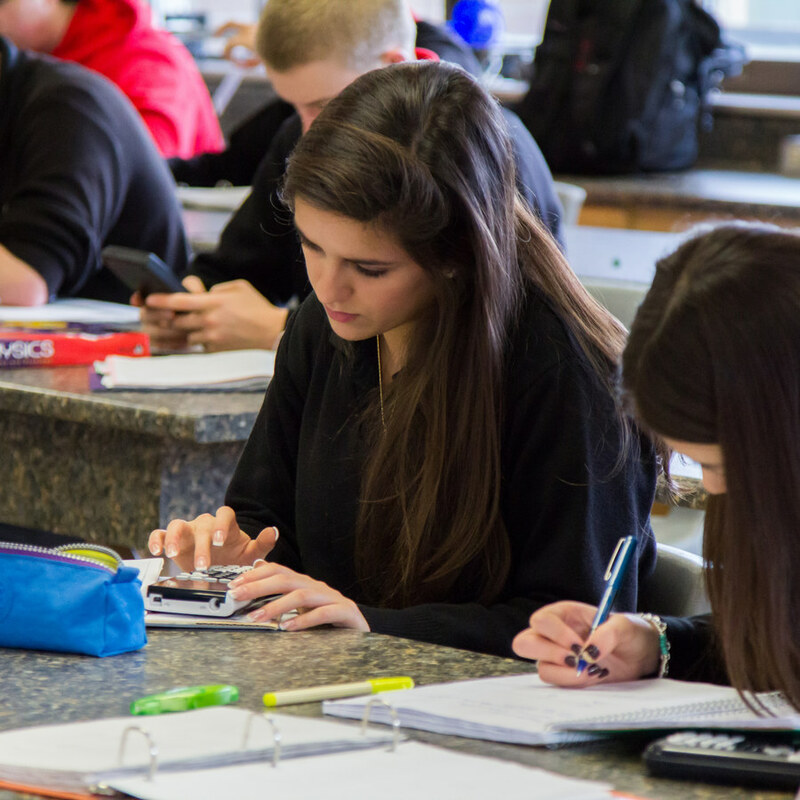 At Brentwood we believe that learning requires the active participation of the student; that people learn in a variety of ways and at different rates, and that learning is both an individual and a group process. Coursework begins with a study of exponents and the laws governing order of operations with respect to rational numbers, bases and their exponents. A problem solving context is used to derive patterns and relationships to introduce and explore linear equations and the algebra that is used to solve them. Polynomials are also explored with students, concretely, pictorially and symbolically. Students model, record and explain their approach to solving problems involving addition and subtraction of polynomial expressions. Graphing of linear relationships and extrapolating and interpolating from graphs introduces students to some of the concepts involved in critically analyzing and intelligently displaying data. Students move through the course to then conduct a study of statistics within a social context and brings them to an understanding of statistical bias in the collection, analysis and display of data. A study of 2D and 3D shapes requires students to solve problems and justify solution strategies involving circles, tangents, polygons and the surface area of objects. A unit on transformations involves students in drawing scale diagrams of 2D shapes and gaining an appreciation of line and rotational symmetry. Technology is incorporated into the curriculum through such means as data collection and GPS devices which provide information students can discuss, display and analyze within the classroom. Pre-Calculus 11 is a course designed, along with Pre-Calculus 12, to give students who are interested in pursuing future studies that require calculus, the necessary foundation of algebraic skills. Students begin by representing and analyzing situations that involve expressions, equations and inequalities. Quadratic, polynomial and rational functions are represented and analyzed. Students solve coordinate geometry problems involving points, lines and line segments and apply the geometric properties of circles to solve problems. The following mathematical processes are emphasized throughout the year: Communication, Problem Solving, Connections, Reasoning, Mental Mathematics, Technology and Estimation Visualization.